Who says you’ll need between 500-600USD to travel to and in Phuket? 500-600USD isn’t a small amount for a budget traveler like me or those of you who are following my blog and Facebook Page. But good news is that you can still visit Phuket with not so much money in hands! I was in Phuket for 4 days last week and I had only spent 233USD the whole trip. Tip? Easy! This is the time when close friends are important! I recommend you to travel in a group of six people for Phuket- this is the best number to share all the cost! I bet you’re now curious why I had spent so little in such paradise. Let’s take a look at how I did it. 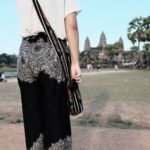 I travelled with Vietjet, and tell you what? 75USD isn’t the best deal. I thought it would be cheaper to book for the ticket a month in advance, but I was wrong this time. My friends booked for the flight a week before the departure and they only spent 43USD for round way. YES- 43 EFFING DOLLARS! But it takes luck to find such cheap flight. One tip I can give you is that always keep an eye on Vietjet booking website. They offer promotion each month, and if you’re lucky enough to get it, you’ll be able to save a lot! Transportation in Phuket is crazy expensive! There are usually a lot of taxi companies inside Phuket International Airport that can take you to your accommodation. But wait until you get out of the airport, there will be other taxi options that offer cheaper price. Good thing is that they are opened to negotiation. I needed to get to my hotel around Patong beach and the taxi price inside the airport was 1300bahts which was 300bahts more expensive than the one I got outside. Drop me a message if you need the contact of the driver. Another travelling option in the city is to take taxi meter. Taxi meter might not be the best option for you in other cities, but they definitely are in Phuket! You can always ask the driver to give you the approximate price to where you’re going and decide whether or not you can afford it. To know if it’s a good price, you should check the Grab Taxi price first then reduce the cost on Grab from 100-200Bahts and bargain with your driver. 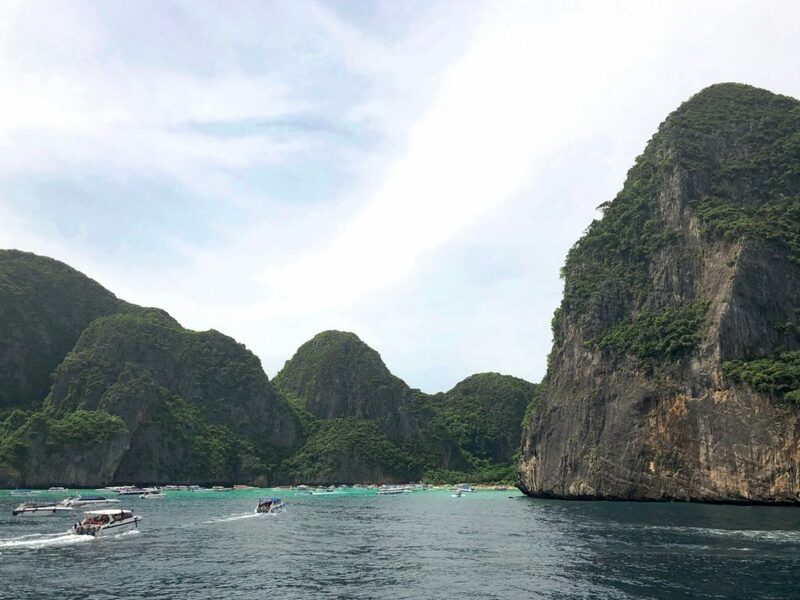 It’s hard to DIY your travel to the famous islands of Phi Phi. There are a lot of tour options with different cruise companies, but always go for Sea Angel! It’s super easy, you can always book for the tour with Sea Angel through their Facebook Page. Sea Angel Team are super polite and I loooooooooove them! 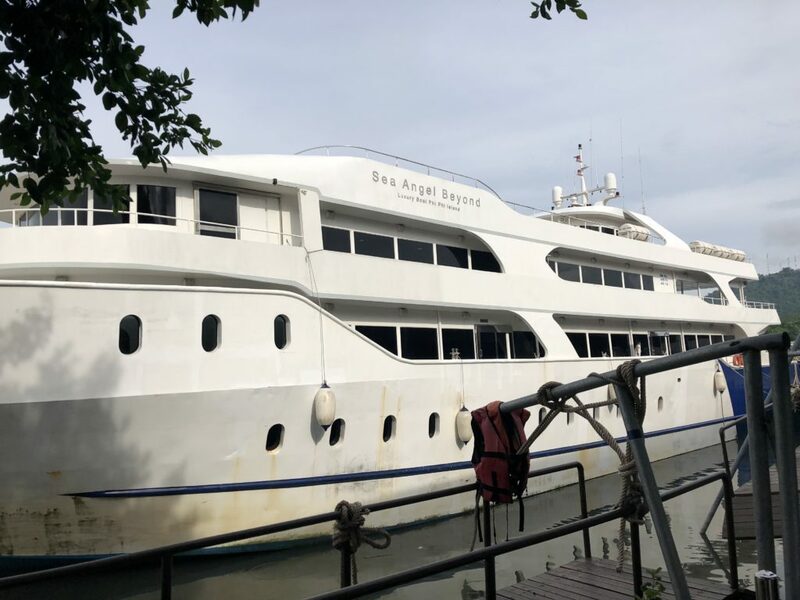 Sea Angel provides 3 seat classes; economy, silver, and gold. 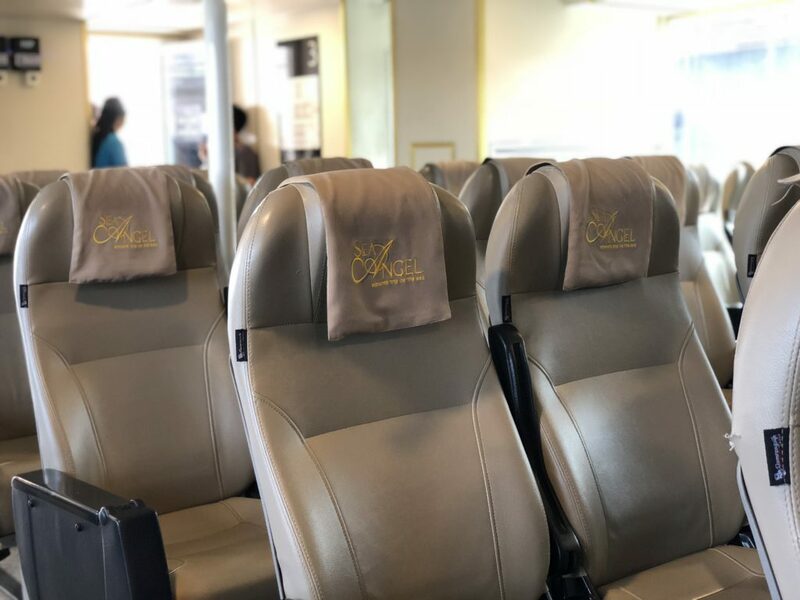 Of course economy class is the cheapest, but always go for Silver or Gold to enjoy your cruise experience to the fullest with a super comfortable seat and snacks a long the way to the islands. I almost forgot to mention the free buffet at lunch time on the island. A lot of chicken, you guys! A big eater? No worries, food in Phuket is really cheap and come in good portion! There are a lot of street food and fancy restaurants, it’s in your choice to choose! I go for street food in every country I’ve been- they’re cheap and good, so why not? Talking about food, don’t forget to google Linda Seafood! Mrs. Linda, the owner, is sooooo funny. She acted like my mom when I ordered my food without veggies. She cracked a lot of jokes and all were good! She’s got a really good sense of humor. The owner is funny and the food are tasty and of good price. My friends and I really enjoyed eating there!